As the 2019 offseason rolls on, a few current and former Patriots players took time out of their Easter Sunday to share how they were celebrating the holiday with their friends and families. Check out some of the best photos shared over social media below. This entry was posted in Patriots Photos and tagged David Andrews, Duron Harmon, Jerod Mayo, Julian Edelman, Lawyer Milloy, Rob Gronkowski, Tom Brady on April 22, 2019 by Robert Alvarez. 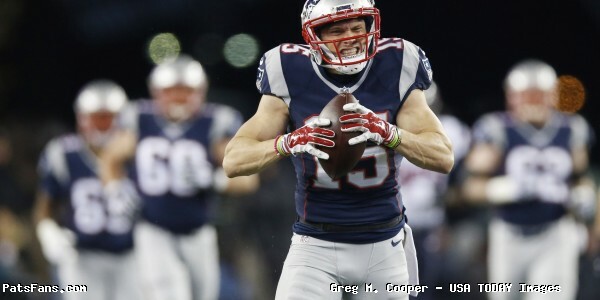 On April 12th 2019, wide receiver Chris Hogan signed a one-year deal with the Carolina Panthers. Over this past weekend, Hogan shared a thank you message to the Patriots organization and fans for their support. 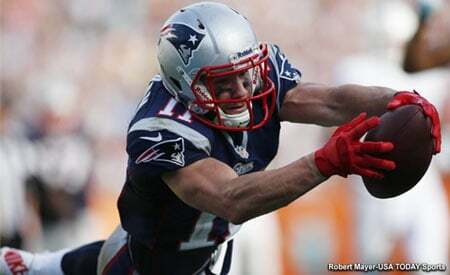 In three seasons as a Patriot, Hogan tallied 107 receptions for 1,651 yards and 12 touchdowns. He helped the team reach three consecutive Super Bowls, winning two, and hauled in a memorable catch during this past seasons AFC Championship game. The Patriots elected not to re-sign Hogan after the 2018 season following a decline in production the past two years. Hogan finished 2018 with just 35 receptions for 532 yards and three touchdowns. He’ll look to reboot his career as a top target of Cam Newton in 2019. 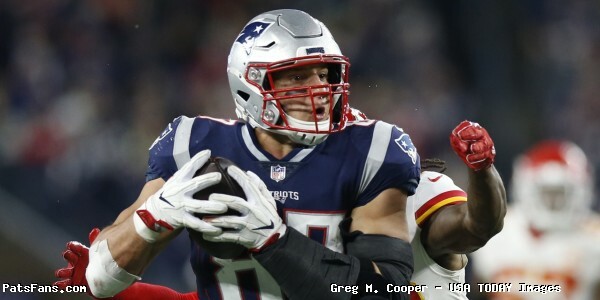 This entry was posted in 2019 Patriots offseason, Patriots News, Patriots Photos and tagged Chris Hogan on April 22, 2019 by Robert Alvarez. On Friday evening the Jewish celebration of Passover begins and the NFL’s most successful Jewish player shared a special message for all fans taking part. 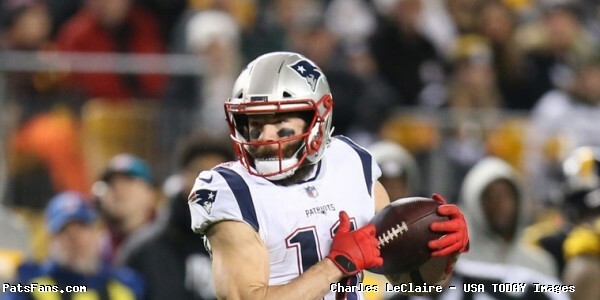 Throughout his NFL career, Edelman has openly shared support for his religion, he most notably he wore cleats to honor the Pittsburgh synagogue shooting victims this past season. From everyone at PatsFans Happy Passover to those celebrating. 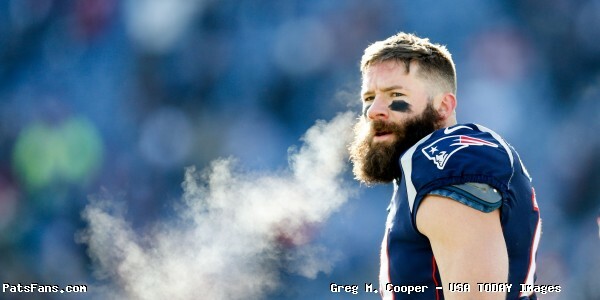 This entry was posted in 2019 Patriots offseason, Patriots News, Patriots Photos and tagged Julian Edelman on April 19, 2019 by Robert Alvarez. 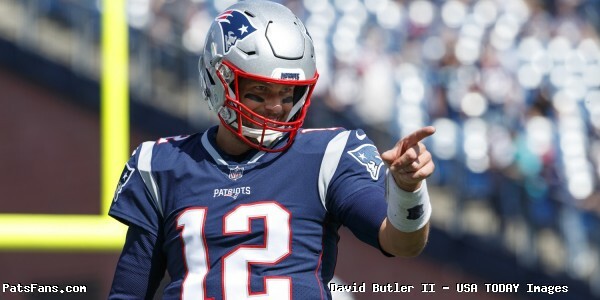 Following the release of the teams 2019 season schedule, the New England Patriots social media team shared a funny “Bad Lip Reading” to help get fans hyped up for next seasons title defense. Video courtesy, Patriots YouTube Channel. This entry was posted in Patriots Video on April 19, 2019 by Robert Alvarez. After three seasons in New England, wide receiver Chris Hogan signed a one-year, $1.45 million deal with the Carolina Panthers last week. In the days that followed the news, former teammate Julian Edelman said goodbye in an Instagram post. 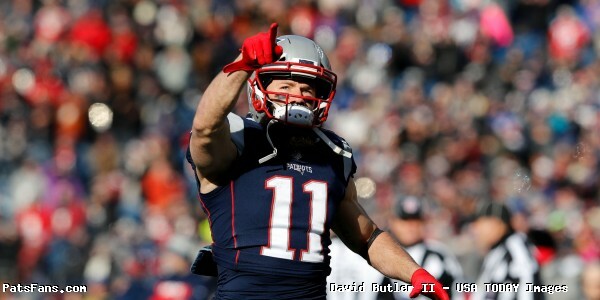 In three seasons as a Patriot, Hogan tallied 107 catches for 1,651 yards and 12 touchdowns. This entry was posted in 2019 Patriots offseason, Patriots News, Patriots Photos and tagged Chris Hogan, Julian Edelman on April 17, 2019 by Robert Alvarez. 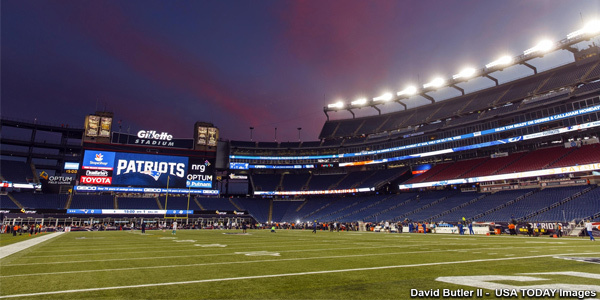 On April 9th 2019, the New England Patriots visited Boston’s Fenway Park for a championship celebration for the ages. The Red Sox, who also brought Boston a championship just four months prior to the Patriots Super Bowl title, were guests to the teams opening day ring ceremony. The pregame ceremony meant ten championship trophies would make an appearance between the two New England sports franchises. Since 2001, the Red Sox and Patriots have combined for 10 championships in 13 title rounds. What most didn’t know, was a funny story happened on that memorable day involving the now-retired Rob Gronkowski. Angelique Fiske of Patriots.com shares the story of an unfortunate incident that left one of the six Lomabrdi trophies looking a bit dinged up courtesy of Gronk. So check out how Gronk ended up “leaving his mark” on the Patriots sixth Lombardi trophy in the video below.
.@RobGronkowski left a mark on this organization. A few Patriots (and Gronk’s girlfriend) shared some funny reactions. This entry was posted in 2019 Patriots offseason, Patriots News, Patriots Video and tagged Jason McCourty, Julian Edelman, Lawrence Guy, Rob Gronkowski on April 17, 2019 by Robert Alvarez. They haven’t been teammates since 2017, and haven’t played together since 2016, but the bromance between Julian Edelman and Danny Amendola continues to live on. On Instagram Wednesday, Amendola shared a funny throwback video of Edelman serenading him with a rendition of The Kings’ “Lola” while they vacationed in Medellin, Colombia. “Once upon a time me and uncle Edels take on Medellin. Book coming soon. #boyswillbeboys”, Amendola wrote in a caption. Amendola signed a one-year, $4.5 million contract with the Detroit Lions that reunited him with Matt Patrica. This entry was posted in Patriots Video and tagged Danny Amendola, Julian Edelman, Matt Patricia on April 17, 2019 by Robert Alvarez. a one-year deal worth up to $6 million dollars. 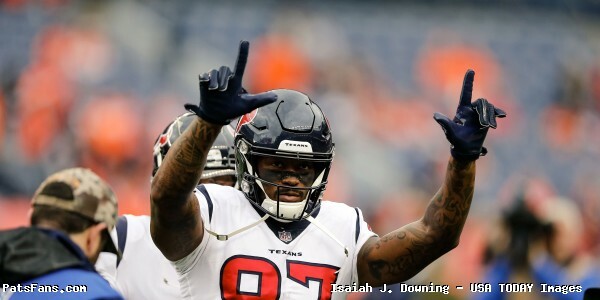 After spending the first nine and a half years of his career with the rival Denver Broncos, Thomas played with the Houston Texans halfway through 2018. On Wednesday, Thomas reacted to the signing by sharing a photoshopped image of himself in a Patriots uniform. The Patriots attempted to trade for Thomas during last seasons trade deadline but he wound up in Houston for a fourth and seventh round pick in 2019’s draft. Thomas played in seven games for the Texans in 2018 before tearing an Achilles tendon that ended his season. This entry was posted in 2019 Patriots offseason, Patriots News, Patriots Photos and tagged Demaryius Thomas on April 17, 2019 by Robert Alvarez. 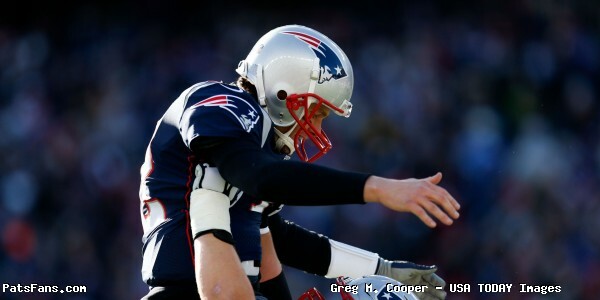 On Wednesday, the dates and times of the New England Patriots were formally announced by the NFL. This entry was posted in Patriots News and tagged 2019 Patriots Schedule on April 17, 2019 by Robert Alvarez.